Get your favorite holiday treats without gaining a pant size. Yogen Früz is now offering low-fat, non-fat and no-sugar-added Thanksgiving themed frozen yogurt flavors to help satisfy your holiday cravings. 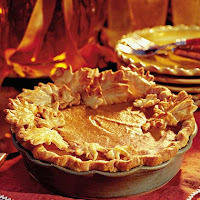 Help yourself to the turkey and stuffing but skip the fattening desserts. 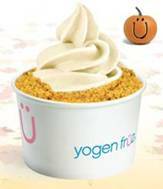 For a healthier option- try Yogen Früz’s Autumn Spice Apple Pie and Pumpkin Spice flavors! Celebs such as Ali Fedotowsky, Khloe Kardashian and Lauren Conrad opt for Yogen Früz to indulge without tipping the scale! Can be made with our low- or non-fat vanilla froyo, which is, of course, naturally flavored. Yogen Früz offers more than just a delicious treat; each bite provides the body with essential vitamins to help maintain a healthy lifestyle. In addition, Yogen Früz adds one billion viable probiotic cultures to each serving. Probiotics have been shown to help with healthy digestion, immune system support, better mineral absorption and assists with lactose intolerance.